It's been quiet on the wildlife front of late, mainly due to the confinement of edit based work, but I've been reading quite a bit to make up for it. 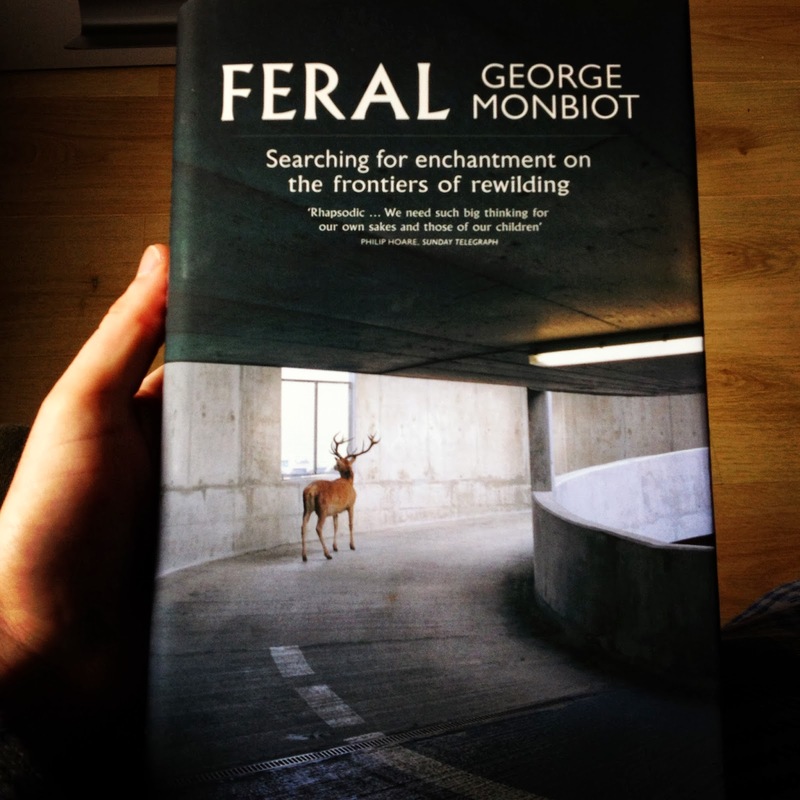 The latest book being that of Feral, by George Monbiot, A' Search for enchantment on the frontiers of rewilding', it delves into modern day thought and conservation, the shifting base-line syndrome, and the discussion of rewilding, whats possible, what can be done, what has been done. George opens your eyes to the true meaning of rewilding, and creates some bold statements along the way. Overall it makes you dream, dream of possibilities, dream of changes, dream of the wild, but it also made me gain a different perspective on things. I've grown up in Whitley Bay, on the edge of the Green Belt, the forefront of housing development. My passion for the natural world developed in areas of land which were left around the housing estates, wastelands as some people call them. I've always seen them as wild, but it wasn't until reading Feral that it dawned on me, these areas are wildernesses. After the initial act which creates them, either planting, surface works, or just dereliction, they are by majority, left free to naturally grow and develop. Unfortunately these are seen as wasteland sites, and sites which are said they can't be built on, in the end are. We have two larger areas left, one a mix of concrete bricks, grassland and hawthorns, the other a planted wood and a now stunning meadow. The rest consists of fragment 30-40 year woodland, and 20 year old shelter belts. One of these fragmented woodlands I've been familiar with since a child. Although its size is deceiving this is the wildest place I know, its like stepping into a place that had been forgotten, by man anyway. In the summer the floor is dominated by greenery, sticky weed up to your chest, giving home to the Fox, but also species which are associated with old woodland, such as the Speckled Wood Butterfly. The only pair of Blackcaps in my estate breeds there, and its also home to my favourite species, the Sparrowhawk, raising its family undisturbed here for as long as I can remember. I believe these areas are vital for children's connection to nature in an urban environment, but also vital for nature itself, they contain so much more diversity than the nearby monoculture farmland. If you haven't read it already, Feral is definitely worth picking up. Delving into the next book, traits from Feral can be followed through, but this time more to do with rewilding of the human spirit. The Nature Principle by Richard Louv looks at 'Human Restoration and the End of Nature-Deficit-Disorder'. Richard introduced the concept of the nature-defecit-order in his last book, 'The Last Child of the Woods' (definitely worth a read), where he found children where lacking in skills, life, and even developing illnesses through the lack of contact with nature. Inspiring is an understatement for The Last Child of the Woods, I'm only a few chapters into The Nature Principle, but it is already just as inspiring. Richard looks at our faith in technology, good and bad, how it can be a struggle to let it go, and how the powers of nature are still overlooked. Due to the nature of my work, technology plays a huge part in my everyday life, and I'm guilty of letting it take over at times, especially in terms of social media. Technology and nature can work together to form something even better, but Richard Louv says that your time in nature has to be greater than that of your time in technology, so that it doesn't eat you up completely. Recently its eaten me up, so I've been rewilding myself over these past few days. 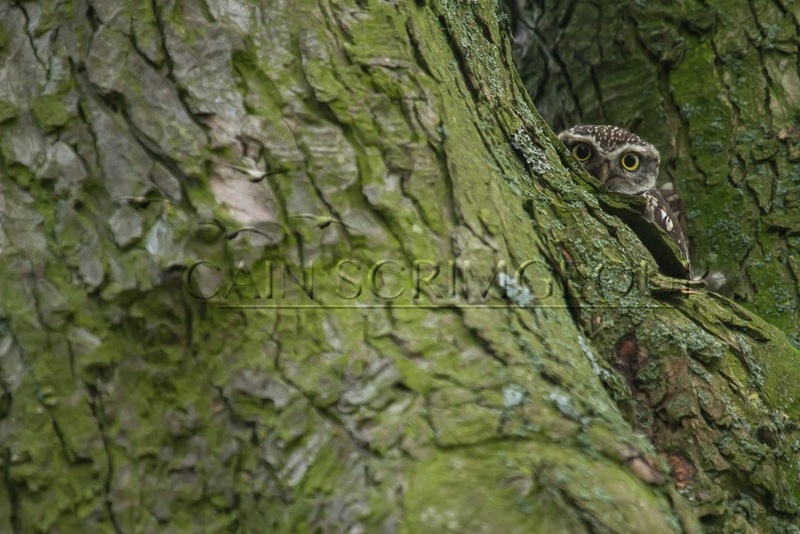 Hide and Seek with a Little Owl. 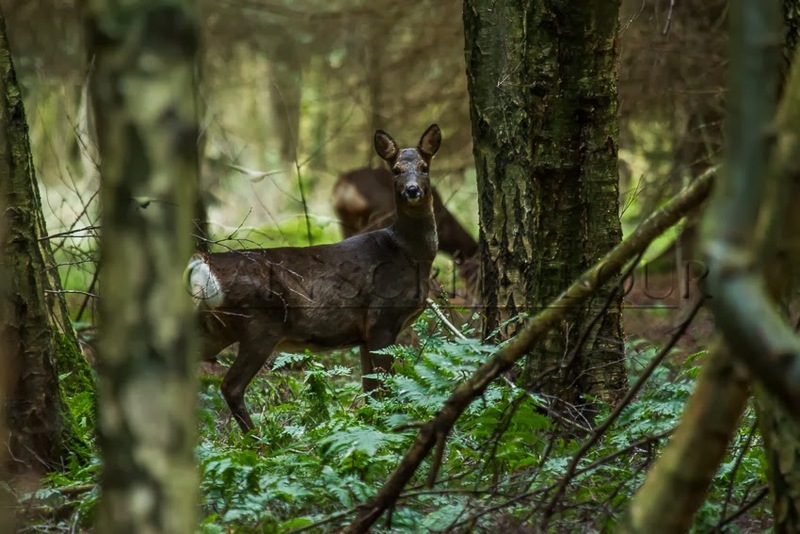 Today I've spent some time attempting to photograph wildfowl on one of the Hadrian Wall Loughs, I've visited Killingworth Lake and Holywell Pond, but most importantly I spent a few hours in the woods, stalking Roe Deer. Stalking an animal has to be the best way of connecting with nature, all your senses come into play, you feel the wind on your cheek, you touch the ground, searching for those quiet spots, you use your peripheral vision to look for movement, you listen to the surroundings, and you even smell the air, all this comes together with little conscious effort, but it instantly takes you into the wood, not just through it, into it, into the home of the Roe Deer. Getting close to these animals, in their home, the place they know where every tree stands, where every track leads, where their own senses are perfectly in tune, is a unbelievable privilege, not because they've accepted you, but because you've managed to traverse their home as part of the wood, as an object of the natural world, not as a man. A Doe looks up as the shutter goes, and a Buck feeds behind. Without educating children as to the importance of nature, it's ecosystems and how all of this forms a wider picture... well we will all suffer for generations to come. Look at the news now, we've already chewed over this on Facebook but much of the flooding is down to misuse of land, building on naturally formed flood plains, subsidies to farmers for cutting down trees.... the generations after us need to understand! Thanks Alan, thats it exactly, if we don't we'll end up with a generation of people unable to do anything, lacking respect and knowledge of the natural world. We'll become true aliens on the planet. It's always good to read a blog that actually has something important to say Cain (even if we have to wait a while for it to appear these days ha ha). I think the 'wastelands' that you mention are so often the best places to find wildlife. Sadly many are being chewed up by developers (areas in North Tyneside offer o prime example), but thankfully some still remain and are often the best place to watch wildlife on my own patch. I just wish a few more people could view wild areas in urban environments as a little more than 'untidy' areas, use their imagination and think a little more about wildlife. Cheers. Thanks Brian, I know its been a long time ! I headed down to Killingworth yesterday and was astonished by the numbers of wildfowl, its accessible to pretty much everyone, they only have to look.